In this guide I’m going to be showing you the Top 5 Best VPN extensions for Safari. 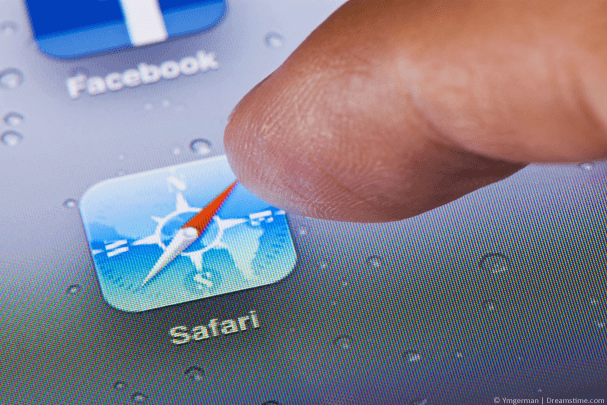 If you’re looking to secure your Safari browsing sessions then this guide is definitely for you. Safari is a great web-browser and if you’re an Apple fan you no doubt enjoy the streamlined experience it offers the browser. Unfortunately though Safari isn’t as popular as some of the other browsers like Chrome or Internet Explorer so finding a VPN extension can be difficult. There are however a handful of Safari VPN extensions and they vary in both quality and ease-of-use. I’ve been taking a look a whole range of them so you don’t have to and have put together a round-up of my Top 5 choices. So if you want to know which is the best VPN for Safari you can’t go wrong with one of the 5 below. A sad fact is Safari is an overthought for most VPN services but ExpressVPN isn’t one of them which makes them my top pick as a VPN extension for Safari. In fact, ExpressVPN is one of the very few providers who offer a dedicated Safari VPN extension. Their Safari VPN extension offers a kill switch, DNS leak protection, a spoof location feature and a whole host more. The VPN extension is seriously feature rich. I really like the fact you can get an entire 3-months free when taking an annual account which gives you 15 months of premium service rather than 12. Not only that but they’ve got a 30-day money back guarantee so if it’s not for you, you can simply get a refund. The Safari VPN extension is also really easy to use, simply choose a country and click to connect. Everything you do within Safari is then secure, you won’t get easier than that! Like most providers, NordVPN doesn’t offer a dedicated Safari VPN extension but they do have a simple HTTP proxy and their apps are really easy to use. You’ll need to install one of their desktop or mobile apps to protect your Safari browsing or use their HTTP proxy. The proxy doesn’t offer the same level of security as a full-blown VPN but it is an option if you want some lightweight IP protection. My recommendation is to install one of their desktop or mobile clients for Windows, Mac, iOS or Android. Choose from one of their 60+ server locations and connect. You’re then safe to browse in Safari securely. You can use the service on 6 devices at the same time which is a lot of Safari protection and if you don’t like the service then take advantage of their 30-day money back guarantee and get a refund. IPVanish is another VPN provider that doesn’t have a dedicated Safari VPN extension but their range of apps is vast meaning you can protect your Safari browsing habits on almost any device. Without question one of their standout features is the ability to use one account on up to 10 devices at the same time. This equals great value for money allowing you to protect your Safari connection and every other device in your household. There’s also a 7-day money back guarantee to give you plenty of time to test the service. If it isn’t the one for you or you just can’t get it working then simply get a refund. If you get stuck then there is also a live-chat option to help you get any issues resolved quickly allowing you to shore up the security of your Safari browsing sessions without hassle. CyberGhost VPN is one of the better overall VPN services out there who have been expanding rapidly in the past few years. VPN servers are available in over 60 countries with more than 2200 individual servers. Unfortunately, CyberGhost VPN doesn’t have a dedicated Safari VPN extension so you’ll need to install either their desktop or mobile apps to protect your Safari browsing. While this might not seem as lightweight as a dedicated Safari app it does offer better overall protection. You can also use the service on up to 7-devices at the time same time which allows you to protect plenty of your gadgets. There’s a limited free-trial and while it is restricted to only some features it does allow you to test the service. If that isn’t enough then there’s also a 30-day money back guarantee to allow you the risk-free option of trying the service. Private Internet Access rounds up my selection of VPN services for Safari. 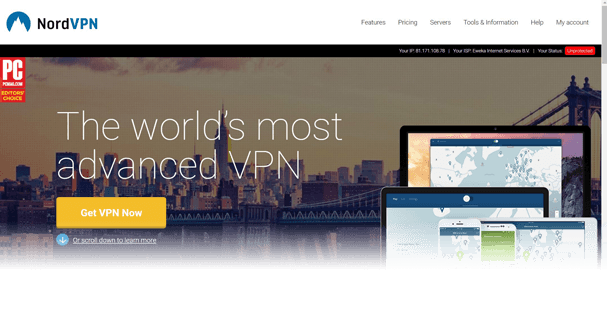 Sadly they’re again a provider that doesn’t have a dedicated Safari VPN extension but if you can overlook that then they do offer one of the best VPN services. Apps are available for Windows, Mac, Android and iOS so it’s possible to secure your Safari browsing using one of their full-VPN apps. There aren’t quite so many server locations on the Private Internet Access service but they are one of the cheapest. You can pick up a year subscription for nearly half the price of other providers. If you can live with lesser locations and no dedicated Safari VPN extension then it makes for good value for money. Private Internet Access is highly respected across the VPN industry and they have a tested no-log policy which means what you do while connected remains private. Safari is one of the better web-browsers available and being developed by Apple it lends itself to being slightly more secure than the competition. Think of the security of the iPhone and then you know you’re in safe hands. Unfortunately though there are hundreds of threats to your internet usage these days and when browsing the web many of those threats are to be found there. Simply relying on the security of Safari and any anti-virus software you have installed is no longer enough to thwart all threats. With online privacy a big issue for security breaches a VPN is now a necessity. There are very few VPN services which have dedicated Safari apps. In fact, I only found one, ExpressVPN who were offering any kind of decent Safari VPN extension. It comes packed with features which are often only found in dedicated VPN apps. When choosing a VPN for Safari you need to consider the benefits of both a full-blown VPN app and a Safari VPN extension. While Safari VPN extensions don’t offer the same level of protection a full VPN app does they are lightweight and quick to activate. If you simply want to protect your browsing to an extent then take a Safari VPN extension. If you want overall protection then a VPN app is the way to go. Thankfully if you use ExpressVPN you have the best of both worlds which allows you to choose. It’s important to consider how many and where the VPN servers are from for the VPN service you sign up to. While some such as ExpressVPN have over 90 locations worldwide, others such as Private Internet Access have less than 30. That’s not to say fewer locations are bad. If you’re realistic, no one will make use of 90 locations themselves. What is more important to consider is are the locations available nearby to yourself? Or in countries where you personally will need them. When using any kind of VPN service either as a Safari VPN extension or a standalone dedicated VPN app, speed is critical. Some VPN providers are so bad that the speeds seriously impact on your browsing usage. This can make using the web frustrating to the point that you turn the VPN service off and forgo the lost money. Thankfully it doesn’t need to be like this. The 5 recommended providers above are all known to and tested by myself to offer good speeds. The difference when choosing a fast VPN service like the 5 listed above or a slow service can be like chalk and cheese. Choosing any VPN service can be difficult and if you’re searching for a VPN extension for Safari then it can be even more difficult due to the lack of availability. If you’re set on using an extension rather than a full-blown VPN app then your only choice is ExpressVPN. They’re actually my favourite VPN service right now and with a 30-day money back guarantee and 3-months free on their annual package they make a good choice. You also have the advantage that they have a dedicated Safari VPN extension and apps for almost all devices giving you the choice of alternating between the two. They’ve also got a huge 30-day money back guarantee so you’ve got plenty of time to test the service risk-free. If you’re happy to use a dedicated VPN app to protect your Safari usage then the other 4 services all make for ideal options. Don’t stress over the decision too much. My recommendation is ExpressVPN but the 5 above are all tried and tested and will help you protect the privacy and security of your Safari usage regardless of which you end up choosing. Looking for a VPN for other purposes? Check out our other guides. Have you used a Safari VPN extension? What were your experiences and who do you think is the best? I would love to hear your comments to help out other users so why not post a comment in the section below?